At my house today we have Miss 5 home with a very sore toe... so we decided to make Peppermint Playdough for the girls. 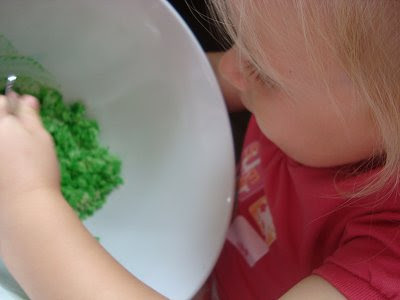 I have memories of my mother slaving over the stove cooking playdough up for us as kids. Since then (thanks to Playcentre) I have discovered the easiest and most fail proof playdough recipe... and adding a few drops of essence like peppermint, makes it all the more fun! (Head over to Buttons by Lou Lou to play along and tell us what's happening at your house today too). Mix the first 5 ingredients then add flour and beat until smooth! For more recipes visit here. 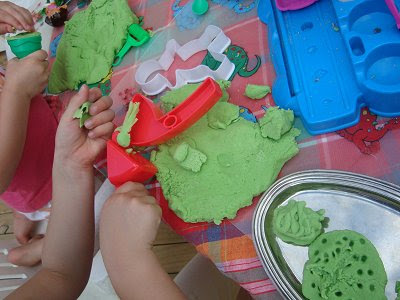 Good stuff, playdough... :) Even fun for us Mum's, especially if you're tactile, it's a great stress reliever! memories! 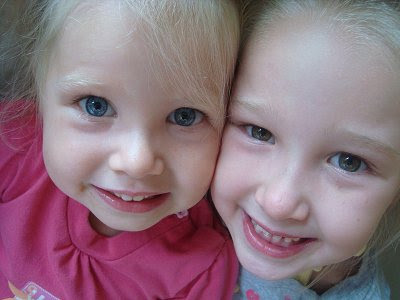 I used to make playdough for my girls! How do you not eat it??? YUM! Looks like great fun - and I think you have the same write in recipe book that I have! Thanks for playing along. Lou. Peppermint playdough sounds so much nicer than the regular salty stuff!